The following user stories give examples on how our clients are working with SAM products. Since 2009 I am working with SAM PuttLab. It has brought my teaching to a higher level and significantly increased the putting skills of my students. No matter if my students are beginners, league players or national team players, they all benefit from the well-presented analysis and from a better understanding of the relationship between cause and effect in a putting stroke. Even a putter fitting, which is the basic requirement for an effective putter movement, is no longer conceivable without SAM PuttLab. According to the measured parameters we are optimizing the putting movement as well as the putter itself. Over the past few years my goal has been to create a holistic teaching academy, where technology can be used to support myself and fellow coaches in providing the very best learning environment for our students. The products provided by SAM along with other learning aids have helped realize these goals. The SAM technology now not only supports our instructional team, but our fitness and fitting experts in their fields of specialty as well. Our Academy now features a designated ‘Putting Studio’ where the SAM Putt Lab used as both a means of instruction and putter optimization to support our ‘Callaway Custom Fitting Centre’. 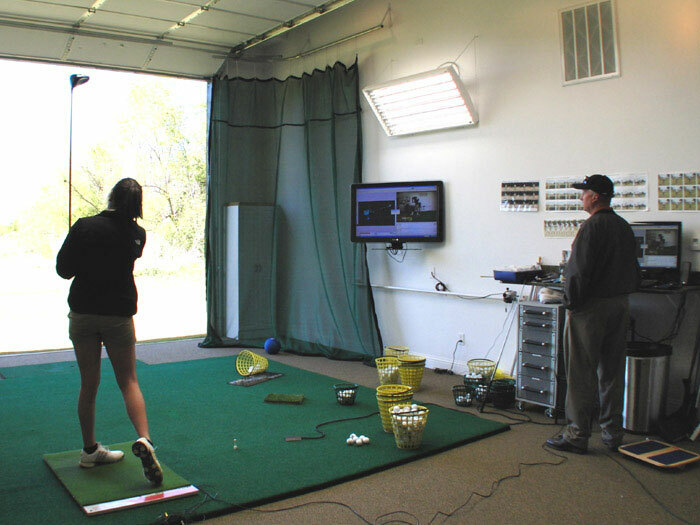 The SAM BalanceLab is located in our ‘Performance Studio’, where the BalanceLab has been integrated into swing enhancement programs in conjunction with biomechanical technology. Working with players of various abilities ranging from beginners to Tournament Professionals we have been extremely excited and pleased with the latest addition to our putting studio. The SAM PuttLab has really helped us to not only analyze players strokes in various detail but also to provide them with information regarding putter fitting – perfecting their stroke and practicing whilst receiving immediate feedback ! 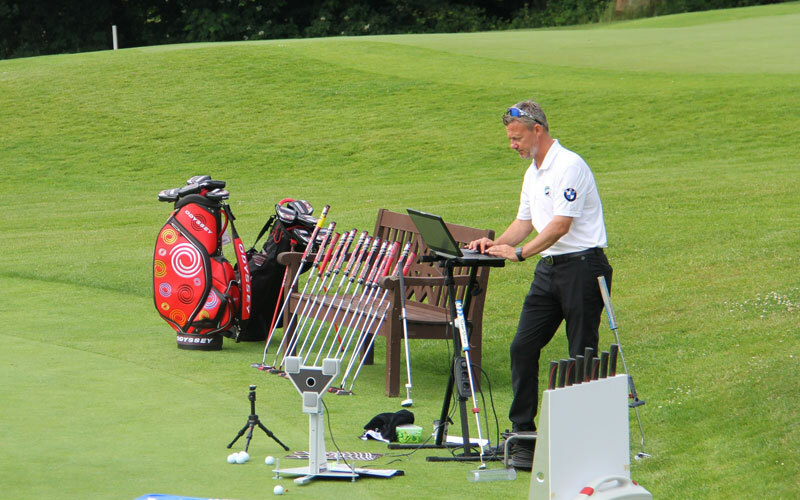 This revolutionary new system is beneficial to players, coaches and club fitters alike. Not only can putting be coached more efficiently but you can also ensure that with the correct club fitting service available you walk away with a putter that is perfectly built for you to achieve more consistency and ultimately lower scores. 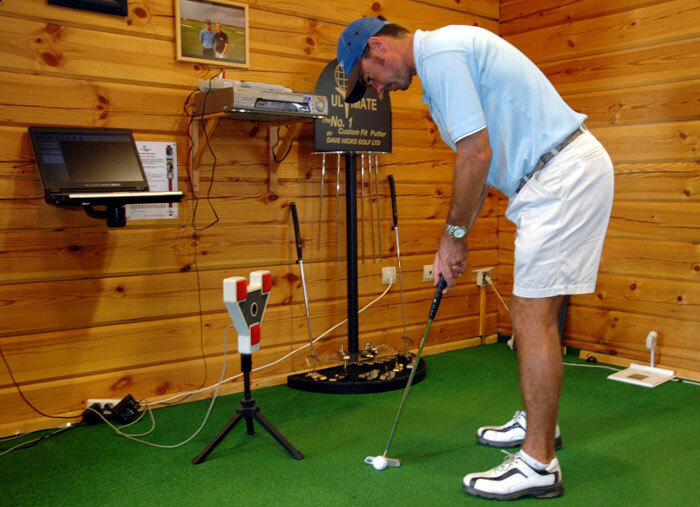 All of these setup related issues can lead to inconsistent alignment of the putter face at address as well as squareness of the putterface at impact, excessive putterface rotation during the stroke as well as missing the sweetspot of the putter high towards the toe – this leads to a loss of energy transferred to the ball and therefore inconsistent results and possible face twisting through the impact zone. 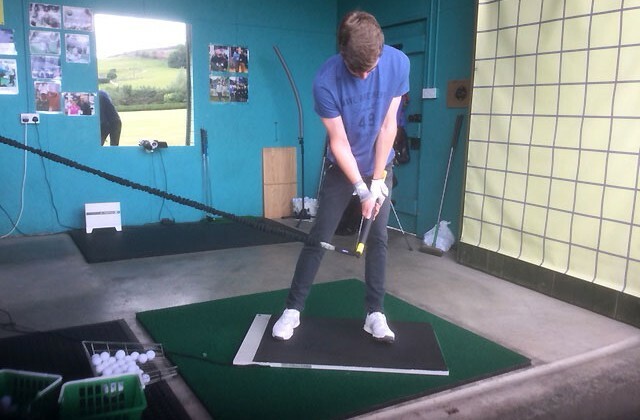 Once we fitted the particular player with a suitable putter (most golfers have putters that are too long) and altered the posture (see photo’s) we can clearly see the improvements to the after report. Alignment has now become more consistent as a result of a better eye positioning promoting better targeting together with improved consistency at impact. A better putter path is the result of being in a more balanced posture as well as positioning the hands more directly under the shoulders and having the spine parallel to the ground. The body is now biomechanically in a much better position the move the putter in a more pendulum like arc. We can clearly see better sweet spot contact which will in turn aid with consistency as well as distance control on longer putts. Lastly there is a considerable improvement in putterface rotation which will help the player start the ball more consistently on the intended line and the player will be less reliant on good timing. The SAM PuttLab will really elevate putting importance and training to the next level and provide clubfitters with the essential information to make subtle changes to this most important club in your bag. I honestly believe every golfer should take time out of his diary to experience a session in one of the elite SAM training facilities around the world and see what the SAM can do for you! 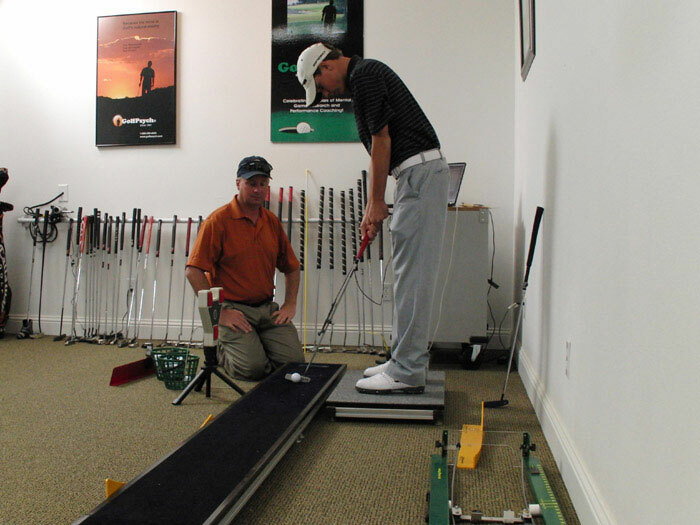 At Sinclair’s Golf Training Center we have been using the SAM PuttLab and SAM BalanceLab for the last two years. They have enhanced my ability to teach beyond expectations. I use these tools on a daily basis for a variety of reasons. It has become standard practice that everyone that comes to The Center must first be evaluated on this equipment. This technology allows the instructor to diagnose any problem quickly and the student’s game gets better almost instantly. I have found their potential is only limited to my imagination. Below is a list of some of the different ways I use the SAM products. We find what a player does consistently well and enhance it by making small adjustments instead of conceptual changes that might take time for them to master. This way they can immediately and comfortably implement change on the course and see the results right away. The “Multi Competence Profile” allows us to see how different styles of putters perform side by side very quickly. We can verify which styles are best depending on the findings and save countless amounts of time in testing out on the practice green or course. Tempo, speed during back swing and follow through, and how the putter face is moving through the stroke are all big factors in the mental game. The SAM has graphs that show speed as well as the movement of the putter face that can detect any flinch or “Yip” easily. You can see problems in the transition of the back swing to the follow through that may not be detectible to the naked eye or your standard 2D video camera. Tracking someone’s rhythm and tempo so accurately is also a big help in training the mind to respond in the manner that best fits their stroke. All of these tools really help in the student’s awareness of the thoughts they may be having over a putt that cause inconsistencies in their stroke. When combining both of these technologies we can really show a student how their weight distribution and/or movement can and will affect all aspects of the stroke. The PuttLab is the best tool that I have had for researching putting. It enables you to prove or dispel different theories or concepts related to putting. It is also perfect for testing equipment to see how it may or may not be helpful to different styles of putting. 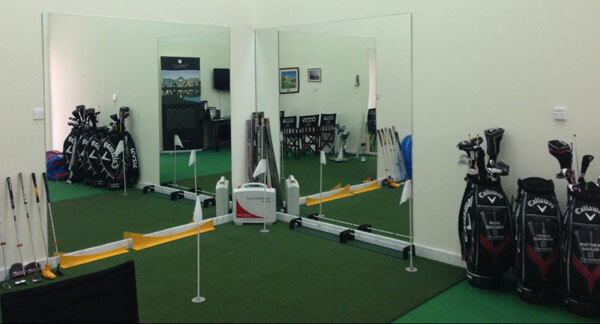 The PuttLab is a great value add for a tournament. We have set it up at the turn and given out AM-Reports at the end of the tournament. The players have really enjoyed seeing their strokes. The graphics give the instructor vital feedback on how the student’s weight is distributed at address as well as throughout the whole stroke. The naked eye and video is sometimes just not enough. The sensitivity of this technology is incredible. I can make a quick assessment of what is wrong and correct it in minutes. This is just a great way to see how the weight is being transferred throughout the swing. It takes no time at all to find power leaks and/or potential areas that may be causing certain ball flight issues. Several times I have used this to solve path and club face issues by simply looking at the data and then making a small adjustment. The student gets a great visual and is able to comprehend the reasons for problems much quicker. I have even seen the shoes causing the issue. I have not seen very many products that can do that. This has been an outstanding tool when it comes to research. 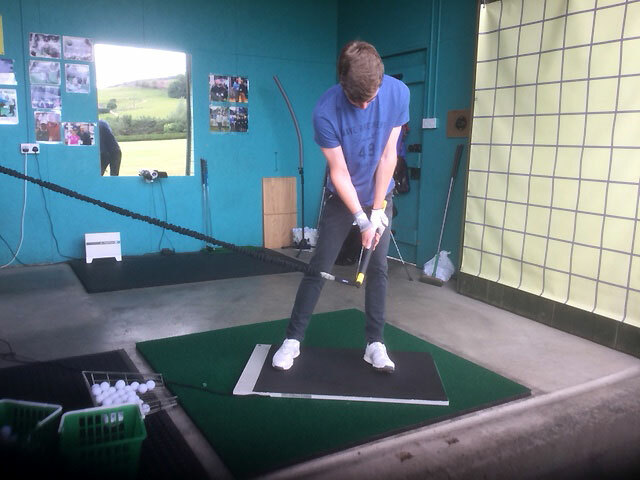 It has been very effective in determining which swing style is right for each student. We are able to recommend different styles to students with different body types now. We have been able to use this in conjunction with other technologies such as SAM PuttLab, launch monitors, 2D-video, and 3D-biomechanics in order to effectively recommend a certain swing style or stroke for a particular person to use in different parts of his or her game. I hope this inspires you to keep your research and ideas coming. You and your team are really impacting golf and how it is being taught. Attached are some pictures of my facility with your products in use. Keep up the good work. I hope to see you soon.